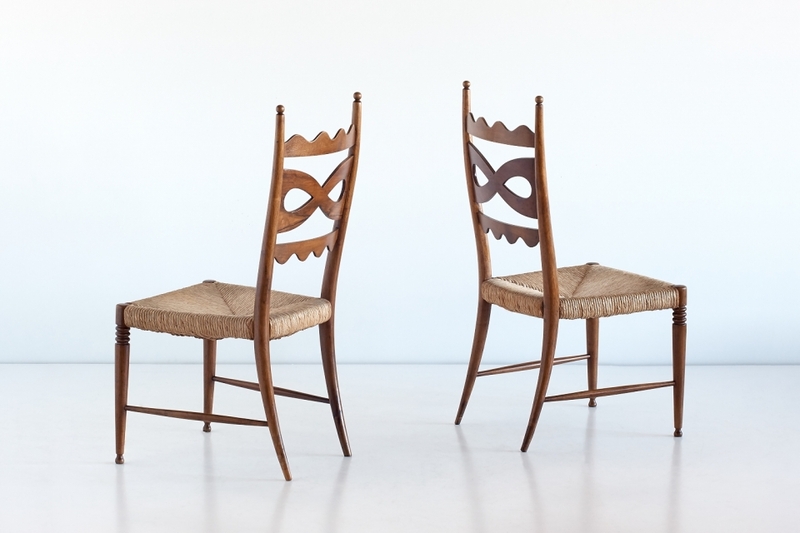 A rare and well-documented set of two high-back chairs, designed by Paolo Buffa in the 1940s. 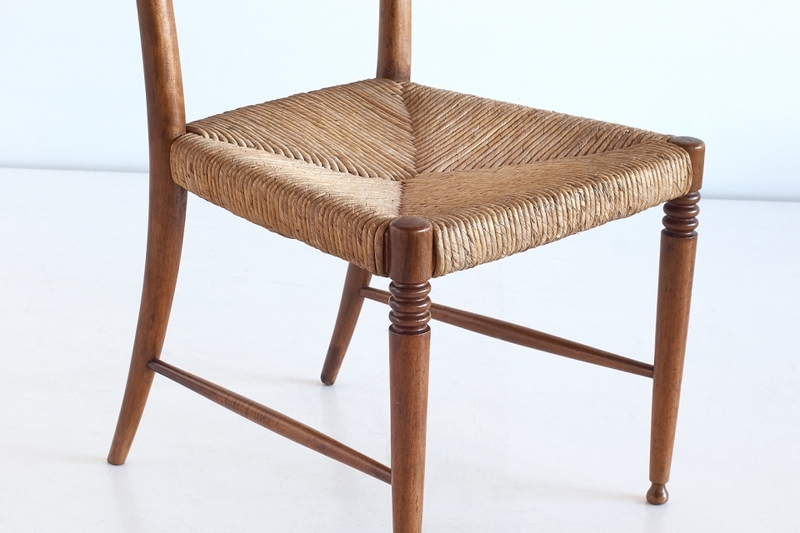 Details typical for Buffa’s craftsmanship include the decorative bow shaped and scalloped patterns on the backrests, the carved ring pattern on the front legs and the carved finials and front feet. The elegant Silhouette of the walnut frames is completed by the curved line of the rear legs, another Buffa trademark. These high-back chairs still have their original rush seats. The chairs have been documented in the following literature: Roberto Rizzi, I Mobili di Paolo Buffa, Cantú 2001, page 34. Guglielmo Ulrich, Arredamento: Mobili e Oggetti d’Arte Decorative, Edizioni Gorlich Milan, 1945, figure 56. Cesare Saracchi, Mobili Imbottiti, Poltrone Salotti e Tessuti Per l’Arredamento, Gorlich Milan 1947, figure 86. Irene de Guttry & Maria Paolo Maino, Il Mobile Déco Italiano: 1920-1940, Editori Laterza, page 107. Condition: Excellent. The walnut frames have been carefully restored and are in excellent condition. The original rush seats are in good vintage condition.